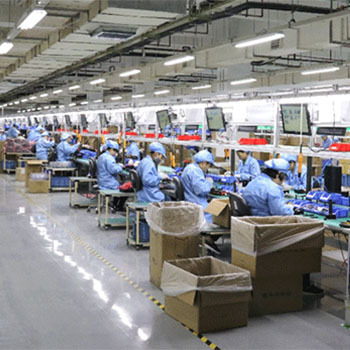 On 2019, thermal barcode printer manufacturer, TSC Auto ID, relocated and expanded its manufacturing plant in Tianjin, China. This newly upgraded facility, in addition to TSC’s Taiwan manufacturing facility, will abundantly serve the rapidly increasing demand for TSC’s barcode printers worldwide. The original facility in Tianjin has manufactured TSC barcode printers and printer accessories since 2003, producing high quality and reliable products for the global market. The new plant continues to be centrally located in the Tianjin Economic-Technological Development area. It is a 2.5 fold expansion over the previous facility, with increased capacity on both production and warehousing areas. The strict quality standards and high levels of efficiency continue to be applied and enhanced at this new facility. Not only has the production area been increased, but the offices have also been upgraded. The offices have been redesigned to facilitate greater communication and collaboration between departments. The addition of four large conference rooms and other smaller meeting rooms offer more convenient spaces to meet with partners, suppliers, and customers. The new Tianjin plant serves as a solid base for TSC’s effort to further develop and grow the barcode printer market globally. With this exciting new expansion, TSC continues its mission to provide our customers and partners with outstanding automatic identification solutions and increase our leadership in this industry.